I've been torn about writing anything about James Ray for weeks. The initial tragedy that happened during Spiritual Warrior back on October 9th, resulting in 3 deaths was horrible enough. I had friends there. It was an event I planned to take part in at some point. I tried not to rush to judgment. I heard from people there who said it was an amazing experience until everything went so horribly wrong in the sweat lodge. But the reactions of James himself (leaving the scene, not contacting families...) left me very disappointed and wondering who was this man I thought I knew. More disturbing to me personally, was discovering two weeks ago (via comments on my own blog) that the suicide I saw while at the Creating Absolute Wealth event in San Diego in July was actually a participant of the seminar. Somehow knowing Colleen was a participant like I was, made her death hit home much more. It made me question what I thought I had learned that day, made me want to rip the "Grateful" tattoo from my flesh, gave me nightmares that kept replaying that day, had me doubting everything I thought I knew about my own growth and what to believe. It had me feeling betrayed by James because I spoke to him, his staff, even the entire group of participants later that day about what I had seen. I don't know when anyone with JRI found out about Colleen's death but it had to have been many hours after the fact. It is quite possible James himself wasn't told until the weekend was over, but that is just conjecture. JRI staff did know she wasn't on the bus bringing us back to the hotel from downtown, but we had been told that people have missed buses in the past so it wasn't portrayed as any sort of issue to us. Nobody had IDs for that particular experience (we were wandering San Diego like homeless people), we only had cards with a number to call if something happened and we missed the bus. In the last couple weeks I've had various bloggers and reporters contacting me and have seen people posting comments across the net accusing me of covering things up, working for James Ray; even implying I had something to do with Colleen's death. It has been very hard not to get caught up into defending myself, searching the net all day for what people are saying. I finally realized it doesn't matter. Nothing can change what happened in San Diego or Sedona. Investigations are underway to make sure it doesn't happen again. I do believe James and his staff are good people with high intentions of helping others. This has been a time when I've needed to be able to separate the teachings from the teacher, for much of what James teaches has been taught by many before him. I'm very glad that he seems to have stopped listening to PR firms on how to handle the mess he's in. I was attracted to James' events because of the adventure and surprise. The immersion experience, having no idea what you are in for or what comes next. But I now realize, those can raise lots of issues that people (including myself) might not be prepared to deal with. After lots of discussion, Lori and I had decided to continue with James' next event which we had already paid for - Quantum Leap, this November in Las Vegas. I had flip-flopped so much on attending - in fact since Creating Absolute Wealth had left me so confused and lost in the weeks following it, I was concerned about what Quantum Leap was going to do to me. The only description we had was that it was going to strip away our limiting beliefs and blocks. So, on Oct 28th when James finally decided to cancel all his remaining 2009 events, I was actually glad. I hope he is now truly cooperating with authorities and helping all those who've been hurt. Four deaths at his two most recent events is something that can't be and shouldn't be ignored. So for everyone wondering... I do not work for James Ray International. I have not spoken with anyone from JRI since all these issues came to light (though I have tried to reach them repeatedly). I did not know the woman I saw jump in San Diego was Colleen Conaway or that she was in the seminar with me (there were about 200 people). I didn't even know she died -- cops at the scene told me she was alive and I saw her leave with an oxygen mask on her face. I did speak with San Diego police at the scene and I've also provided the Arizona authorities with a statement. I had never been to San Diego before and didn't know the name of the mall where she jumped, which is why my own searches for information came up empty once I was back home. I do not doubt that it was a suicide, but I also don't doubt that the event itself raised issues she couldn't deal with. And that is why my heart still breaks every time I think of her. 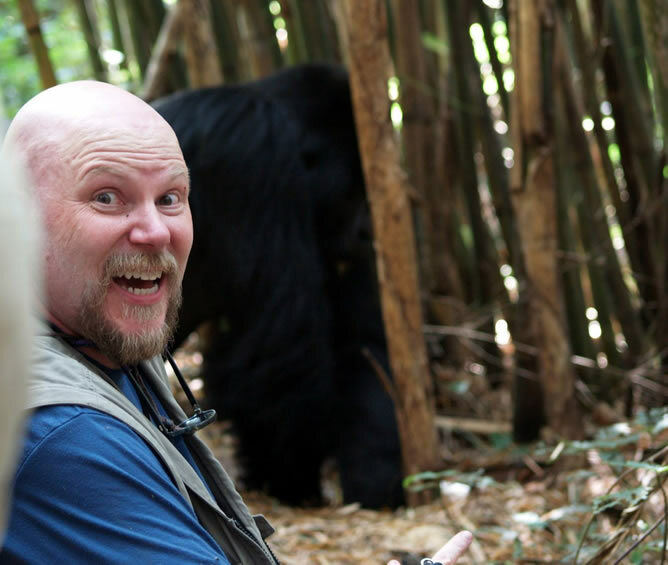 After 3 countries, 5 flights, 8 lodges, dozens of gorillas, and a whole lot of fun, our African odyssey ended a couple weeks ago. The trip was a blast but it did feel long and it took many days to recover from once we were back home. 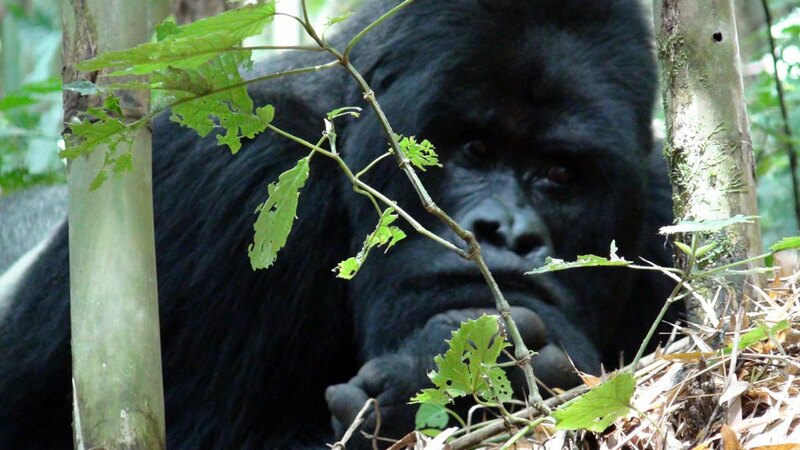 We thoroughly enjoyed our three gorilla tracking days - which was the primary reason for the trip. The big surprise to me, was the beauty of the Ugandan and Rwandan landscape and people. Everybody was so outgoing and friendly, this is such a great time to be an American visiting Africa. They just love the US now. I had so much fun just driving through Uganda and Rwanda waving at kids. They were all so thrilled to get a wave back. I've never seen so many smiles. It was such a treat to see so much joy and happiness in people that you might judge have nothing. Other highlights; spotting a leopard on our very first game drive, two rare sightings of hippos out of the water, and a tree climbing lion. Also met some fantastic fellow travellers along the way, which we've always been so fortunate to do, and had outstanding guides and service at every stop. Can't recommend Volcanoes Safaris enough if you want to visit the mountain gorillas yourself. With over 2,000 photos and hours of video, it could be quite awhile before I get details posted. For now, here is an online album Lori put together and a smaller collection I put up on Facebook.